How do I cite a handbook or adventure module for a tabletop role-playing game such as Dungeons and Dragons? 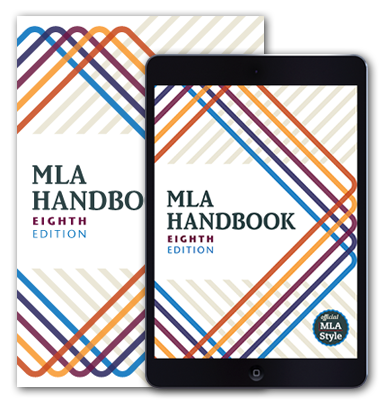 If you are citing a published handbook or adventure module for a tabletop role-playing game such as Dungeons and Dragons, treat the work as you would any other book in MLA style and follow the MLA format template. Some published handbooks or adventures may be produced by many people playing various roles, so if your discussion of such a work does not focus on an individual’s contribution to the volume, begin the entry with the title of the work. Player’s Handbook. Wizards of the Coast, 2014. My paper is included in conference proceedings. If I refer to other papers included in the proceedings, do I need to create works-cited-list entries? No. You do not need to document the other papers, but you should make clear in your prose that the other papers are included in the proceedings (e.g., “In an essay on Toni Morrison in these proceedings, Barbara Anderson writes . . .”). You may provide the page number or numbers of the passages you are citing if the publisher permits, but such information is not required. If I am citing a manuscript that displays page numbers on some pages but not on others, how do I handle my in-text citations? As noted in the MLA Handbook, “When a source has no page numbers or any other kind of part number, no number should be given in a parenthetical citation. Do not count unnumbered paragraphs or other parts” (56). How do I cite measures from a musical score? Mozart supplies a gently rocking melody for Figaro and Susanna’s private reconciliation (measures 275-93). Mozart, Wolfgang Amadeus. The Marriage of Figaro (Le Nozze di Figaro). Dover Publications, 1979. Mozart supplies a gently rocking melody for Figaro and Susanna’s private reconciliation (mm. 275-93) but sets the Count’s public repentance and his wife’s sublime forgiveness more grandly (mm. 420-30). If more than one source for a paraphrased idea is cited in a parenthetical citation, in what order do I list the sources? While reading may be the core of literacy, literacy can be complete only when reading is accompanied by writing (Baron 194; Jacobs 55). Scholars have long advanced the idea that political and economic forces undergird how narratives are shaped (Jameson; Poovey; Cohen).